With the changing weather conditions, child’s health has become a major concern of every parent. These days, the weather has become unpredictable due to global warming. I remember, Mumbai used to be a bit cold during winter months. And this year, it crossed 40 degrees celsius in March itself. These temperature variations are too bad for the immunity. Improve the child’s immunity by exposing him to the sun frequently and giving him a healthy diet. Instil a healthy lifestyle and encourage your child to be active. My toddler runs around and he hurts himself way too often. Earlier I used to be on my toes all the time, but I realised he needs to understand the difference between safe and dangerous. Parents need to make sure the house is baby-proofed. And also take care when taking their children outside to play. Some minor accidents may lead to serious injuries. A lot of parents think that their child is too skinny and he needs to gain weight. I think this pressure mostly comes from the grandparents. They need to understand that as long as the child is active and healthy, low weight (within the permissible limits) does not matter. That was about low weight, but these days obesity in children is a rising concern among parents. This is rising because of the sedentary lifestyle and unhealthy diet. We need to encourage outdoor games and at the same time keep a check on the child’s diet. The instances of child molestation have increased dramatically. Sometimes I think if our children are safe in schools? This is a rising fear for every parent. The best we can do is to teach the difference between good and bad touch to our children. They should be educated about body parts. At the same time, we need to we need to have good communication with them so that they do not hesitate is telling us about any such incident. Children get bullied at school or during play times after school. This can sometimes become a serious matter and can impact the child’s life. We need to make sure that we show empathy towards our children. Also, let them pursue their passion so that they feel happy about their life. So many parents fear if their child will be successful in life. Though this fear makes sense in this world of ever rising population and economic instability. But we need to think positive about our child’s future. Let your child explore everything since his childhood. Let him understand the nature and improve his imagination. Do not give into every demand that he throws at you. Also, do not help him every time he is in a trouble. Let him figure out how to save his problems. These little things in his childhood an help a lot when he grows up. What are your fears as a parent? i had always been worrying about weight issues. when i visited my pediatric before years ago, i had to seek advice for weight gain for my son. now, its the opposite. All these fears are so real. Esp the ones about weight and the pressure coming from elders in the family and society. Despite us believing that chubby is not always healthy, sometimes these doubts put our mind at unrest. As a parent of an adult son who has Down syndrome this list is part of my daily living, still. Seeing them written out in this way is interesting. Some fear, I believe, is good. It keeps us on our toes. After 31 years with my son, these fears have become a part of my being. They occasionally come to the forefront of my life, like when he had a seizure earlier this year, and they dominate my life. Usually they simmer, just below the surface. 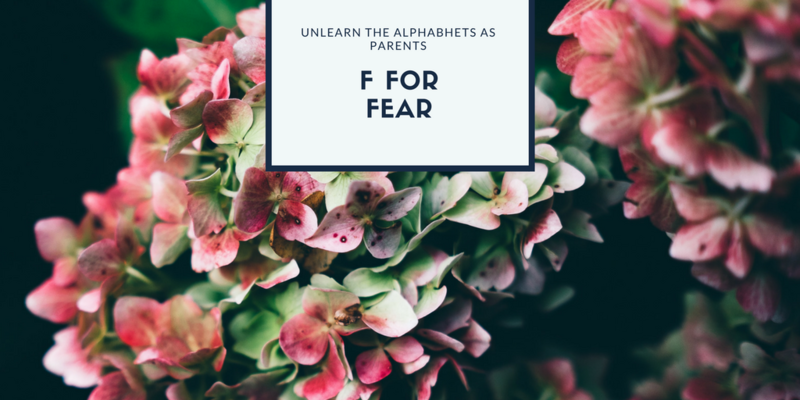 Speaking about these fears with other parents is a great way to deal with them. Having others acknowledge these natural worries of being responsible for another life creates a kind of kinship that we all need. Such sm informative post. Can relate to this. I can relate so much to it …Perfectly penned!! Your blog has hit the nail in the head, Anchal. Every point that you have highlighted is correct. Channeling the fear in the right direction instead of being scared is the best way to deal with fear. Building a safer ecosystem, making our kids self-confident and fearless will go a long way with them in their adult life too.